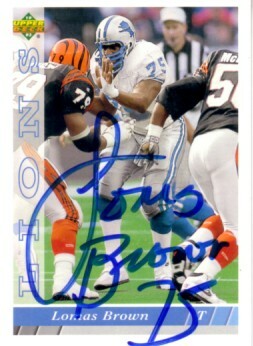 1993 Upper Deck card autographed by former Detroit Lions star offensive tackle Lomas Brown. ONLY ONE OF THIS CARD AVAILABLE FOR SALE. With certificate of authenticity from AutographsForSale.com.